//	Is Google Project Fi a good reason for iPhone users to switch to the Google Pixel 2? 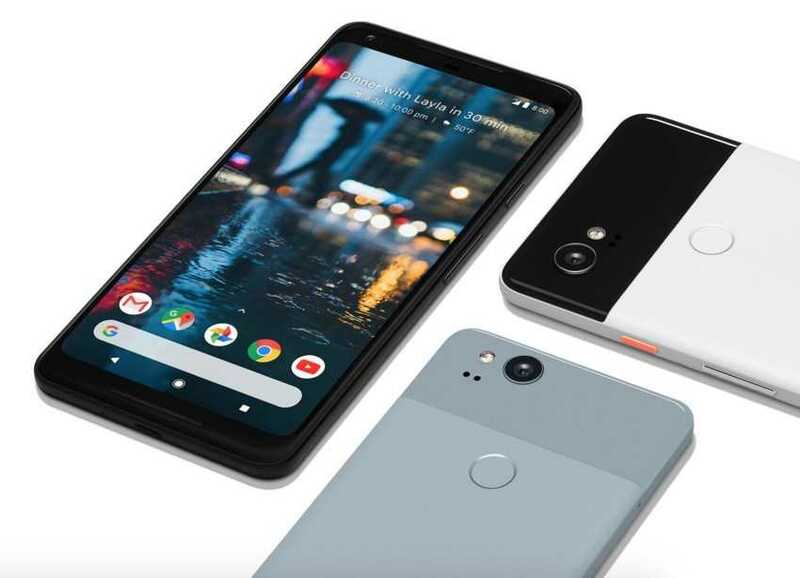 Is Google Project Fi a good reason for iPhone users to switch to the Google Pixel 2? Ask any iPhone user the number one reason they aren’t leaving the iOS ecosystem anytime soon and they’ll be quick to tell you that it’s because of iMessage. We all know how dominant the iPhone is in the U.S. Most people around here own an iPhone and with the built-in iMessage app, it’s easy to stay in touch with friends and family without the need of instant messengers such as WhatsApp or even Facebook Messenger. It gets even better as you don’t need a separate plan for the app to work. The app also supports sending of media files, which is the sole reason many Android users are finding it easy to jump onto the likes of WhatsApp or Messenger instead of using SMS. For an Android user to reach out to an iPhone user who doesn’t have WhatsApp, they’ll have to call them or send an SMS. In fact, the only time iPhone users are forced to use SMS is when chatting with an Android user. iMessage is also compatible with other Apple devices, which means you can chat with friends regardless of whether you are using a PC, phone or tablet. Now, with Google Project Fi, the search engine giant has developed a product that is meant to lock users into the company’s ecosystem, much like iMessage has done to iPhone users. It’s only until recently that a non-Google device came on board, but before that, Project Fi was limited to Google devices – the Nexuses and Pixels. Google Project Fi has its benefits and downsides as well, but it’s easy to say the former outweigh the latter. To put it clearer, Fi is not for everyone, but if it’s your type of thing, you’ll for sure never think of leaving the platform. With Fi, you can save a lot on your monthly data plan, but there are some conditions that should be met. For starters, you need to have strong Wi-Fi hotspots around you all the time. This is because Fi automatically switches between cellular data and these Wi-Fi hotspots, thus allowing you to use the latter as long as it offers a stronger signal than your cellular company. In the process, you end up not using your allocated data, which Fi will factor into the next billing cycle. Since Google Project Fi uses infrastructure laid down by T-Mobile, Sprint and U.S. Cellular, you can be sure that you’ll receive the best services in areas where these three – or any of them – have strong connections. If it happens that none of these carriers are good in your region, you might want to think twice about jumping to Fi. Another necessary condition required to get the best out of Google Project Fi is that one should be a frequent international traveller. This is because you don’t have to change SIM cards when visiting more than 135 countries across the globe. Fi will still give you the same coverage using the same plan, with calls being charged at just $0.20 per minute. You’ll use the same data and SMS plan when in any of these countries, which is kind of cool and hassle-free, if you consider what it takes to buy and activate a new SIM card in a foreign country. If you are a heavy internet user and a huge chunk of your day-to-day life is spent in areas with no strong Wi-Fi hotspots, you might want to skip Google Project Fi because you’ll pay dearly for cellular data, especially when compared to other carriers. As noted earlier, Google has effectively locked Project Fi to its own ecosystem. Still, iPhone users can enjoy partial services offered on Fi thanks to the data-only SIM card. As the name suggests, this SIM card is strictly for data services and nothing more, but why not get the full-blown features of Fi by simply crossing over to Android? Many iPhone users have been reluctant to make the switch due to the lack of solid phones with clean interfaces that are characteristic to Apple’s iOS. However, with the Google Pixel 2, the Android world has a phone that someone coming from an iPhone won’t have so much to regret about other than the aforementioned iMessage. Yes, this is the only significant feature of iOS that iPhone users fear to lose and it’s easy to see why. On the brighter side, making the switch to a Google Pixel 2 will get you into the vicinity of Google Project Fi. If you meet the conditions of making the most out of Fi, you’ll be saving a lot more money that you’ll sooner than later forget about iMessage and iOS altogether. The Pixel 2 phones ship with premium builds, high-end hardware specs, clean versions of Android Oreo and at the apex, the have the best cameras, even better than any of the latest iPhones. What do you think? Is the Google Project Fi reason enough for Apple fans to grab the Pixel 2? Let us know in your comments below.